When it comes to G Pen, we expect the best. 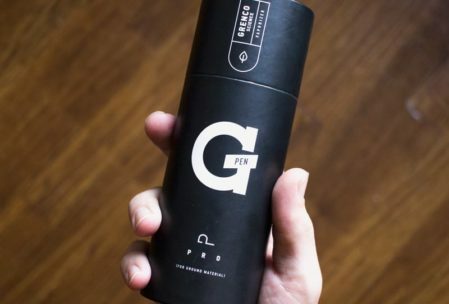 Grenco Science has always been at the forefront of vaporizer products and their newest dry herb vaporizer, the G Pen Pro, is no exception. 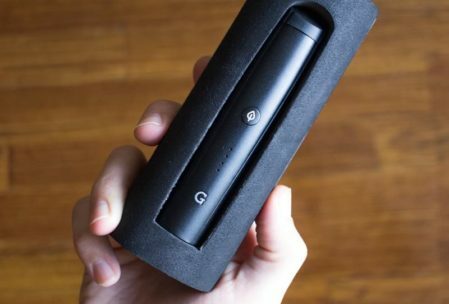 Packaged in a sleek, matte black cylinder case, you might mistake the G Pen for some type of Apple product. And while it may not be the new iPhone X, it truly stands as a top of the line piece of technology. The all black and white packaging leaves a contemporary and intriguing impression upon first glance, like you’re about to unwrap a new secret piece of technology. 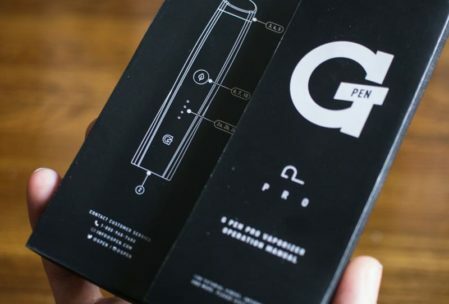 No other vaporizer comes in such elaborate and well-designed packaging, however, it’s just one of the ways that G Pen differentiates itself from others. 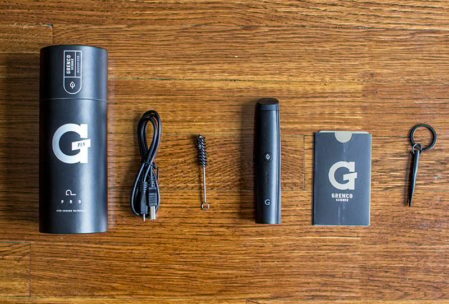 The G Pen Pro is a portable, dry herb vaporizer with a built-in battery, ceramic oven, and three heating profiles. The battery is rechargeable by micro USB port, located at the bottom of the device. The battery is also designed with pass-through charging (you can use the device while it’s charging). 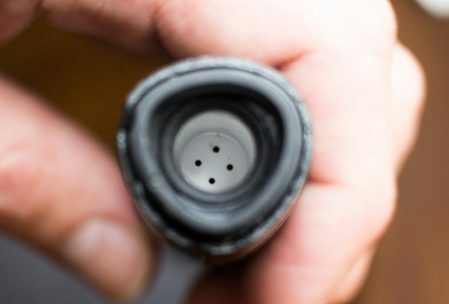 The streamlined body of the vape features a simple one-button interface, and a rubber mouthpiece, along with air intake holes on the sides. The G Pen Pro vape comes in all-black, with a body that is made of a hard, cool, durable aluminum. It slides easily into a pocket, bag, or carrying case and you can expect that it won’t break easily. The ceramic internal chamber holds about 0.25 grams of ground-up dry herb. 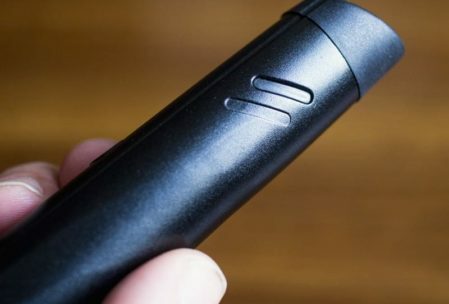 The actual shape of the G Pen Pro, closely resembles that of a lipstick case, except a little chubbier, and is very similar to the ergonomic design of the G Pen Elite which we’ve previously reviewed. It’s like a mini Elite vaporizer. Compared to the OG G Pen Pro, this second rendition is smaller, heats up faster (about 30 seconds to max temp), is sure to stay at your desired temp after drawing, and has supreme air flow. The ceramic chamber, which holds about a quarter of a gram, heats both quickly and evenly. Unlike the G Pen Elite, which is adjustable to the exact degree via a nifty LCD screen, the Pro allows for only three different temperature settings that range from 375-428 F.
You’ll want to fully charge the G Pen Pro using the USB cable provided. We recommend 2-3 hours to reach a full charge. The small, four blinking lights below the front panel button indicate the device is charging. Once the lights are shining solid, you’ll know the G Pen Pro is fully charged and ready to go. To pack the ceramic oven with your fresh herbs, remove the mouthpiece by pushing up on the back to release it. The silicone mouthpiece is sturdy and is easily removed for quick, simple cleaning. Fill the chamber with finely ground flowers or dry herbs and be sure not to overpack the chamber. Reattach the mouthpiece to the pen, then power the device on by pressing the front panel button five times. You can hold down the button to change between temperature settings — Blue: 375 F (190 C); Green: 400 F (204 C); Red 428 F (220 C). You’ll know the optimal temperature is reached once all of the lights are lit solid. Once the lights are solid, take long, slow draws. 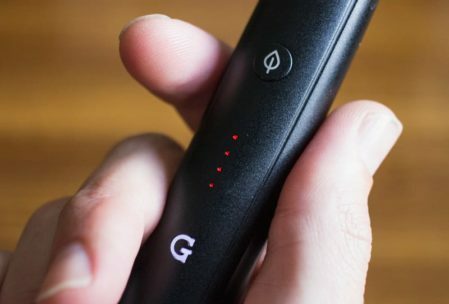 The G Pen Pro will shut off automatically after four minutes of use. We weren’t at all surprised with the G Pen Pro’s superb performance. Its draw was smooth and particularly tasteful. As much as we love smoking herbs too, nothing beats the clean taste and smooth finish of vaporized cannabis. We tested the G Pen Pro at all three temperature settings but found that we most enjoyed using it at the highest setting (428 F). Be sure to use some high-quality flower because the Pro transfers flavor really well. With each draw, you will really taste that terpene-rich profile of good buds. We ground up some fresh Sour Diesel and loaded it into the chamber. It heated evenly and produced a delicious taste that accentuated the sour and earthy notes associated with this classic strain. Although the flavor profiles of the herb are preserved well above average with the G Pen Pro, it does not produce very thick, dense clouds. The ceramic chamber breathes nice and smooth, allowing for easily controlled draws every time. The G Pen Pro is designed to vape consistently so you can take pull after pull without the need to hold down any buttons. We’re really impressed with how well G Pen Pro transfers herb flavor. We love how small and compact the G Pen Pro is too. It’s not only easy to conceal and take anywhere but also you won’t mind taking it everywhere because it looks sleek and stylish, unlike other bulky vapes. You can enjoy taking discreet hits nearly anywhere. 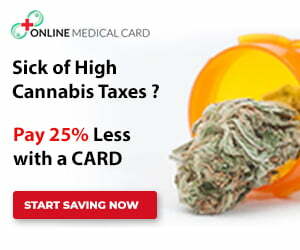 The included grinder card is a cool included accessory but isn’t really that useful. You’ll want to use a nice dry herb grinder to get the best vape experience. Definitely a great dry herb vape at a fair price. 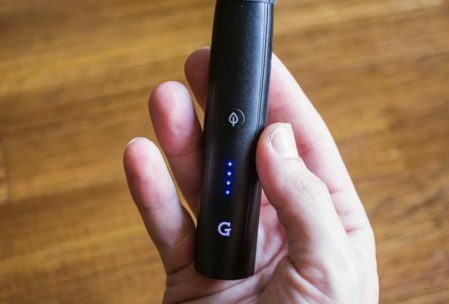 If you want a vape with a larger battery, chamber, and ability to adjust heat to the exact degree, check out the G Pen Elite which is like G Pen Pro’s big brother. The G Pen Pro retails for $99.95, and can be purchased directly on the G Pen website. It can be shipped anywhere and includes a 1-year warranty. 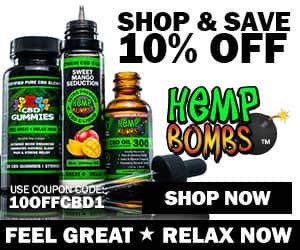 Use code CannabisVapes at checkout for 10% off your order. The G Pen Pro vape is also available the authorized retailer VapeWorld. Use coupon code: CVR10 at checkout for 10% off your order. Includes free 4-piece aluminum grinder.